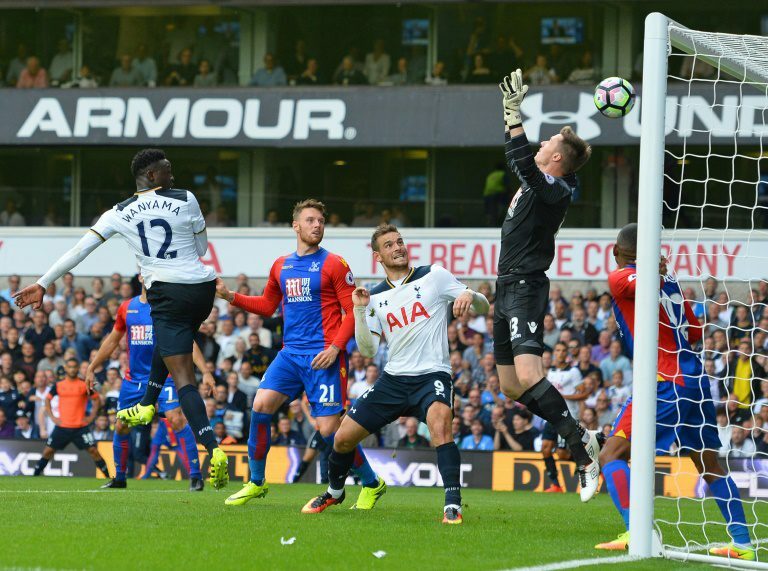 The post Maiden Wanyama goal gives Tottenham victory appeared first on World Soccer Talk. Paris (AFP) – Victor Wanyama — the only Kenyan playing in a major European football league — scored his first goal for Tottenham Hotspur in a 1-0 weekend victory over Crystal Palace. The former Celtic midfielder struck eight minutes from time to give Spurs their first English Premier League win of the season after an opening-weekend draw at Everton. Former Chelsea striker Mohamed Salah was among the scorers as Roma whipped Udinese 4-0 in the Italian Serie A, the biggest win of the opening weekend. Kenya international Wanyama scored his first goal since joining Tottenham in an 11 million pounds ($14.4 million, 12.7 million euros) move from Southampton to give Mauricio Pochettino’s men a 1-0 home win over Crystal Palace. The former Celtic player struck in the 82nd minute at White Hart Lane, flying in to head the ball home from close range after Harry Kane flicked on a corner. Manchester City manager Pep Guardiola praised Iheanacho last week, saying that he has “something special in the box”, and the 20-year-old Nigerian forward made an immediate impact off the bench in his side’s 4-1 win at Stoke City. Iheanacho replaced double goal-scorer Sergio Aguero in the 83rd minute and set up Nolito for City’s third goal just three minutes later, skipping around Stoke goalkeeper Shay Given and squaring the ball to the Spaniard for a tap-in. Bolasie made a positive impression on his debut for new club Everton in their 2-1 win at West Bromwich Albion. A 25 million pounds signing from Crystal Palace last week, the Democratic Republic of Congo winger came on for Gerard Deulofeu in the 61st minute and almost created a goal with an exquisite cross from the right that Ross Barkley headed wide. Despite an encouraging full debut in Leicester’s 2-1 opening defeat at Hull City, Nigerian striker Musa found himself on the bench for the visit of Arsenal. But he almost delivered victory for the champions after coming on in the 87th minute. Shortly after his entrance, he appeared to be tripped by Hector Bellerin after bursting into the Arsenal box from the left, but to the Leicester fans’ great frustration, referee Mark Clattenburg waved play on. The Egypt striker completed a 4-0 rout of Udinese in the Italian capital by scoring from close range with six minutes left. Pacey Salah posed a constant threat and a second-half foul on him led to a penalty which was converted for a two-goal advantage. The France-born Ivory Coast striker got off the mark for the campaign with the second goal as Rennes — now coached by former Algeria boss Christian Gourcuff — beat promoted Nancy 2-0. The Benin striker, 21, scored his first Ligue 1 goal to put Montpellier in front away to Saint-Etienne before the home side came back to win 3-1. Mounie is looking to prove himself at the top level after scoring 11 goals on loan at Nimes in the second tier last season. Pogba played all 90 minutes for Les Verts against Montpellier. The Guinea defender, who turned 26 on Friday, did so with his brother Paul, the Manchester United and France midfielder and the world’s most expensive player, watching from the stands at the Stade Geoffroy-Guichard.